ALAN MURPHY’S “Guide to Songbird Set-up Photography” IN STOCK AND SHIPPING NOW! Canon 800mm f/5.6 L IS lens with the EOS-7D. ISO 800. Evaluative metering +1 1/3 stops: 1/30 sec. at f/5.6. The 800’s new four-stop image stabilization is pretty much miraculous. Here I was working at 25.6X magnification and was able to create a sharp image at 1/30 sec. It’s a whole new world out there. I did make sure to tighten both controls on the Mongoose M3.5B before depressing the shutter button. At this location several Wood Ducks always land on a fence at dusk with a loverly adobe building providing a sweet background. This is another DPP conversion. If you are using a Canon EOS-7D or if you have a Canon EOS-1D Mark IV on order (they will be shipping soon), it would behoove you to check out the Sunday BAA Blog post here: http://www.birdsasart-blog.com/. Canon 400mm f/4 IS DO lens (handheld) with the 1.4X I TC and the EOS-1D Mark III. ISO 400. Evaluative metering +1/3 stop: 1/1600 sec. at f/7.1. The 400 DO has become one of my very favorite lenses and I have been finding many uses for it beside photographing from a variety of watercraft and handheld flight photography. I have consistently made very sharp images with the 1.4X TC while handholding. And when I first borrowed one and brought it to the Galapagos, I made many sharp images with the 2X TC with the lens on a tripod (with the Mongoose M3.5 that has been replaced my the M3.5B. Learn everything there is to know about photographing at Bosque in our Bosque Site Guide: https://store.birdsasart.com/shop/item.aspx?itemid=72. Check out one of my very favorite all time bird images (Suzanne Huot’s “Gear Down… Bufflehead touchdown”) here: http://www.birdphotographers.net/forums/showthread.php?p=387008&highlight=bufflehead. If you do not love this one you might consider taking up knitting! Just How Low is Low? To learn the six degrees of photographic lowness, check out Mark Malloy’s Blue Waxbill post here: http://www.birdphotographers.net/forums/showthread.php?p=402290&posted=1 and scroll down to Pane #7. Not a ton to learn from this great head portrait of a wintering shorebird created with the Canon EOS-40D and the 500 f/4L IS lens by BPN Out-of-the Box moderator Denise Ippolito: : http://www.birdphotographers.net/forums/showthread.php?t=52037. It just shows to go you that you do not need the very latest camera body to make great images. The first ever Mid-Atlantic Get Together will begin at 2pm on Saturday, December 19, 2009 at Barnegat Lighthouse. I will be there barring anything unforeseen. 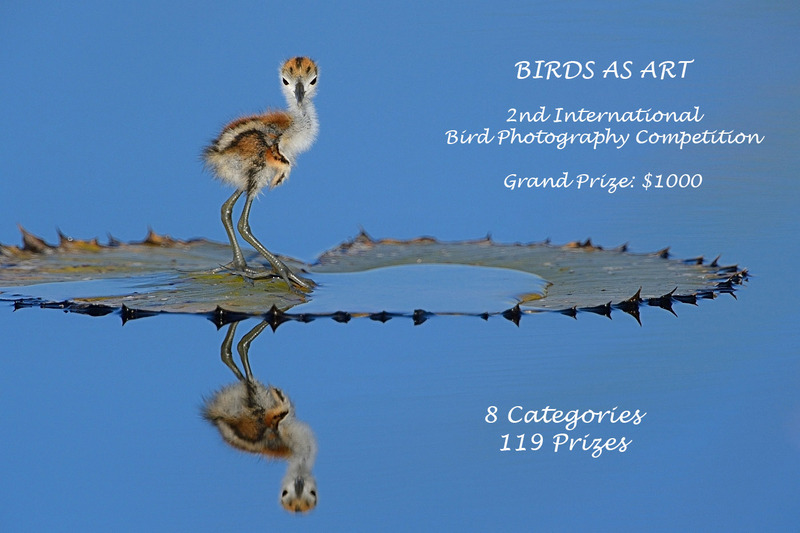 For details, visit: http://www.birdphotographers.net/forums/showthread.php?p=402055#post402055. All BPN members are invited. The image above and the image below were created moments apart with the Canon 800mm f/5.6 L IS lens and the EOS-7D. ISO 400. Evaluative metering +1/3 stop: 1/80 sec. at f/5.6. The image above features a much better head angle; in the image below, the hen’s head is turned slightly away. For me, this is totally unacceptable. The image below, however, has several positive features: there is no orange blob above the bird’s back and there is more rock below the duck’s feet. I decided to utilize a series of Quick Masks to incorporate the best features of each image in the final optimized file. In addition, I made several other improvements. See below for the final image and additional details. The image above is of course the optimized master file for this image. I used a Quick Mask to cover the orange blob but had to work very large to get it close to right. To add more rock below the duck’s feet, I first expanded canvas and then used a Quick Mask. As the registration was not perfect I needed to use some small QMs to fill in a gap. In addition, I did the same thing to cover the poop that was on the rock just below the bird’s undertail coverts. Then I reconstructed the closest toe on the near foot and added rock below that, all with small QMs, and all done to remove the large piece of dried duck dung that was obscuring the near-foot. As all conversions were done in DPP I followed my old workflow: Levels, Curves, Selective Color, and Hue-Saturation. Everything described above is detailed in Digital Basics (https://store.birdsasart.com/shop/item.aspx?itemid=252). The advanced Quick Masking stuff is in Robert O’Toole’s APTATS I: https://store.birdsasart.com/shop/category.aspx?catid=33. This one took a lot of work: total time in Photoshop: 45 minutes. Limit: 6. 4-DAYS: $1,200 (does not include lodging, meals, or ground transportation). Slide show and orientation the night of Thursday, January 21st. Al and Fabs live close to the Everglades and are constantly scouting the area to ensure that tour participants will be taken to areas where there are abundant subjects and the best opportunities for excellent image making. A special emphasis will be placed on creativity and the creative process from visualization through the digital workflow, to optimization. Just a few of the techniques that will be covered are: capturing birds in flight, portrait making, optimal lighting (including front lighting, back lighting, and side lighting as creative alternatives), exposure, composition, sharp image making and out of the box thinking. Each day will include two “in the field” workshop sessions covering field techniques and one classroom session on Photoshop, Lightroom and creative plug-ins. During the workshops, we will always be available to critique your work. Slide show and orientation the night of Thursday, January 21st. We will guide you with gentleness and enthusiasm. 4 days of instruction: $1200 per person (does not include lodging, meals or transportation.) This will be our only Everglades group session of the year. Maximum 12 participants. Reserve your spot today, e-mail fabs@avianscapes.com for more info. Referrals are available upon request. E-mail fabs@avianscapes for more information or to reserve a spot today! Limit 12. 3-DAY: $999 (does not include lodging, meals, or ground transportation). For the first time ever, BPN Publishers James Shadle and Alfred and Fabs Forns will be co-leading a workshop offering the best of Fort DeSoto and the pontoon boat Hooptie Deux. You will get the best of both land and sea and be led by experienced and creative photographers. This will be sunny Florida at its best; the three days will include six in-the-field sessions (weather permitting) and three classroom sessions. You will return home with lots of keepers and newfound knowledge. Everyone will have at least two sessions on the boat and one instructor for every four students will ensure lots of individual attention. Jim Litzenberg took the first batch of Alan’s great CD book to the post office on Friday. He will be hard at work this week in an effort to get them to all US purchasers before December 25th. Please be patient as we are doing the best we can. Overseas folks will need to be patient as we are at the mercy of the foreign post offices…. The book is lavishly illustrated not only with Alan’s killer images but with dozens and dozens of step-by-step photos that will show you exactly how to create your own successful set-ups. The writing is clear and concise and the directions are easy to follow and inclusive. As Alan shows in the book, even if you have only a small backyard, or even just a patio or a balcony, he can help you to create some stunning avian images on a consistent basis. Notice that each bird is perched on the very same rock. Alan artfully designed the two totally different set-ups (each with a sweet, distant background) . In his guide not only will Alan teach you how to select your perches and create pleasing set-ups (like these two), but more importantly, he will teach you how to get the quail to perch on top of the rock (or weathered stump or post). Do note the perfect head angle of each subject. I purchased your $100 BLUB and tried it out recently in Florida and Bosque del Apache. My verdict: pricey but worth it. Great design, the best. I trust your judgment on all the products you offer, and have not been disappointed. My bird photographer friends thought I was nuts to buy a $100 beanbag, but I am very pleased with it; it is definitely worth the price. I have made some sharp pictures with it, pictures I could not have made without it. I purchased your Bosque $50 CD and again—great! Unfortunately I can’t afford your IPTs, but this CD gave me a lot of IPT information at a great savings, worth every dollar. Thanks for writing this CD and making it available. (BTW, I could make a few minor suggestions to perhaps make it better, so let me know if your suggestion window is open.) I enjoyed the Wigeon pond in Socorro and got some great shots there. I also enjoyed the Wood Duck spot in Albuquerque and got more great shots there. I had a blast; many thanks! Suggest away! And you are most welcome. I was at Bosque December 2, 3, 4, and 5. I have been following your recent Bosque emails and blogs with great interest. BTW, my last day I followed a tip from a bed and breakfast couple in San Antonio and headed up to Bernardo Wildlife Area, a mini-Bosque with a three mile loop for cars. It is about 40 minutes north of Bosque and state run. These folks had no trouble planting corn and there were tons of Snow Geese and Sandhill Cranes there. The geese gave me several dramatic blast-offs. I didn’t see any Greater Roadrunners, but did see some interesting towhees and sparrows at Bernardo. I believe I improved my photography a little each day at Bosque, learning as I went. Your recent Bosque photos were awesome, particularly your panoramic stitch of the Ed Krane pool. I regret not taking more panoramas, as CS4 makes stitching them together automatic and idiot-proof. Oh well, maybe next year! Thanks. And for sure on the panos. Photography certainly engages the mind—so much to learn, so many variables, so little room for error. One has to think of f stop vs. speed vs. ISO vs. exposure compensation vs. one shot or AI Servo, not to mention autofocus or manual, tripod vs. handheld, background, foreground, balance, rule of thirds. Despite or because of all this I enjoy it! Me too. And sometimes you have to make all of those decisions in only a few seconds at most…. One morning before dawn I squeezed myself onto the Flight Deck, crowded with bird photographers from all over the world. There were no clouds so the sunrise was going to be rather boring. The refuge management was negligent in planting corn, as you pointed out, so there were few geese or cranes in sight. We were all a bit frustrated, cold, crowded and testy at 6:30 am. Suddenly a Serbian started screaming at a German claiming that the Kraut had kicked his photo bag. “I got up early to get this spot while you slept. So don’t try to push me around, blah blah blah.” We all stared at these two combatants with horror. I was afraid that if the Serb pulled a gun there would have been a blast off–not of geese but of bird photographers jumping off the deck into the marsh to swim for our lives. This testosterone deck was not for the faint of heart. The whole Bosque experience was very interesting. I met many nice folks. I never thought I would so enjoy a vacation where I had to get up every morning at 4:30am to go out into the cold, dark, winter night. But I did. I have been following BPN photos and comments and will post a few of my own photos soon to get some constructive feedback. That is a great website with very helpful tips. BTW, congrats on your healthy Thanksgiving dinner. I really enjoy your emails and blogs! When did it start to snow on that Sunday? I left the Crane Pools about 8:30am that day and it was just starting to rain. My mistake. The 30th was a Monday. I even took a picture of you before I left (See the attached photo :). That sure looks like me. Thanks for sharing. During my stay in Socorro, I saw you almost every day somewhere at Bosque. You have been there for 16 years; you should already have the pictures you needed long time ago. Ah, it seems to me that you do not understand at all what drives me. It is not about the pictures I need. Heck, Corbis rarely takes a crane or a Snow Goose image any more. It is about the images that I want. I want new fresh stuff. I want to create images that make folks go “Whew. That is too good.” I want images that I can enter in the BBC Wildlife Photographer of the Year Competition. Two of my Bosque images have been so honored. I want more. Plus, I love the place. It is a shame that the photographic opportunities there have gone downhill ever since Phil Norton left due to uninspired, unimaginative management. But the place can still be magical as it was on that snowy Monday morning. I’m deeply moved by your diligence. Thanks a lot for the inspiration. Canon 400mm f/4 IS DO lens (handheld) with the EOS-1D Mark III. ISO 400. 1/1600 sec. at f/4 was a seat of the pants exposure. I was set up for white geese in Manual mode and when I saw this bird coming I just spun the thumb wheel a few clicks for a wider aperture knowing that this dark juvie would need almost two stops more light than a white goose. Michal McClure is offering an absolutely mint Canon EF 600mm f/4L IS lens for sale; it was only used twice. There is not even a single small scratch anywhere and the glass is perfect as well: $6,700 plus shipping. (The B&H price for a new one is $8,000.) Please call Michal at 847-395-9347 or e-mail him at mcmexpo@aol.com. Canon 500mm f/4 L IS lens with the EOS-1D Mark III. ISO 400. Evaluative metering +2 stops: 1/50 sec. at f/6.3. This is another snowstorm image created on the early morning of Monday, November 30, 2009. Though I had the 800 in the trunk, I went with the 500 for a wider view so that I could include the tops of the trees. Slide program on the evening of TUES JAN 12. Payment in full is due now. We can accept your $500 deposit via credit card and will await the check for your balance. You may pay your deposit with either a personal check or with a credit card and a phone call (863-692-09060. To complete a valid registration, please fill out and complete the Registration and the Release & Assumption of Risk forms that can be found here: http://www.birdsasart.com/Registration and Release Forms.pdf If you call with a credit card to register, please be sure to print, sign, and return the Registration and the Release & Assumption of Risk forms within ten days. The pelicans will be much redder in mid-January. Not only will we bring you to the right spots for any given wind or weather, we’ll teach you the signs that indicate that a head toss is coming. We are 100% positive that “Great Blue Herons Courtship” will become a collector’s item; thank you for your support of Artie’s work. Purchase any five Limited Edition prints and receive a sixth free. Canon 800mm f/5.6 L IS lens with the 1.4X II TC and the EOS-1D Mark III. ISO 500. Evaluative metering +1 stop: 1/500 sec. at f/11 set manually. Laying downhill on rock and a little ice is a great way to spend a frigid morning but only if you are a lover of what is: www.thework.com. Slide program on the evening of Friday, NOV 19. 7-FULL DAYS: $3199. (Non-refundable deposit: $500; see details below.) Limit: 10/Openings; 9). Co-leaders: Robert O’Toole and Jim Heupel. Right now it looks as if multiple BBC Wildlife Photographer of the Year honoree Chris Van Rooyen of South Africa (http://www.wildlifephotography.co.za/) will be joining us as a guest co-leader. Live, eat, and breathe photography with one of (if not the) world’s premier photographic educators at his very favorite locations on the planet. Plus great co-leaders and lots of top-notch Photoshop instruction. Slide program on the evening of FEB 9. Slide program on the evening of FEB 11. 6-FULL DAYS: $2799. (Non-refundable deposit: $500.) Limit: 10/Sold Out. Co-leaders: Tim Grey and Alfred and Fabiola Forns. Please e-mail if you would like your name placed on the Interested List for the 2011 President’s Week IPT.